Imagine a photographer working mainly in West Africa. Picture the people and the places he sees through his lenses. Think of his mind finding similarities and making connections between different stories, coincidental facts, countless images and diverse people. Picture all of this in your own mind. It's a connected world. Art direction by punkt. Sadly the great friend and photo-journalist Tim Hetherington died in Misrata in April 2011, while covering the Libyan civil war. The site online is no longer designed and developed by Keepthinking, but remains a living testimony of his art, humanity and courage. 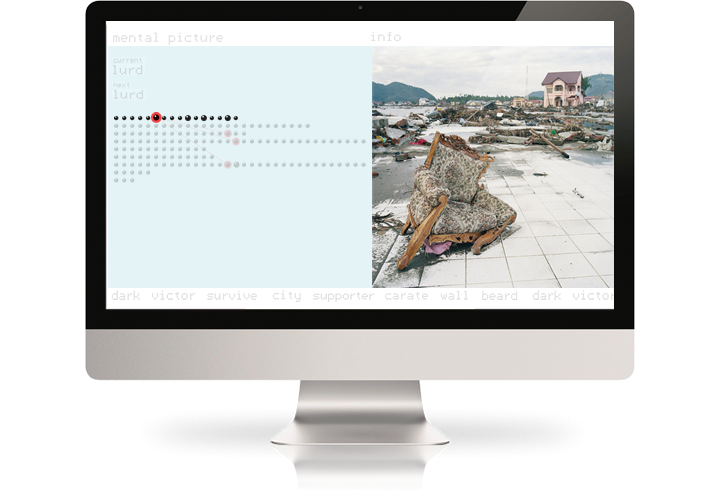 The website for Tim Hetherington started as something called "Mental Picture". The idea was to tell a series of stories, through images of Tim's work. In his work, the act of story-telling was often more important than the single image. Each story was at the same time a chapter in itself, as well a web of connections. Each image in each story related to themes in other images in other stories. 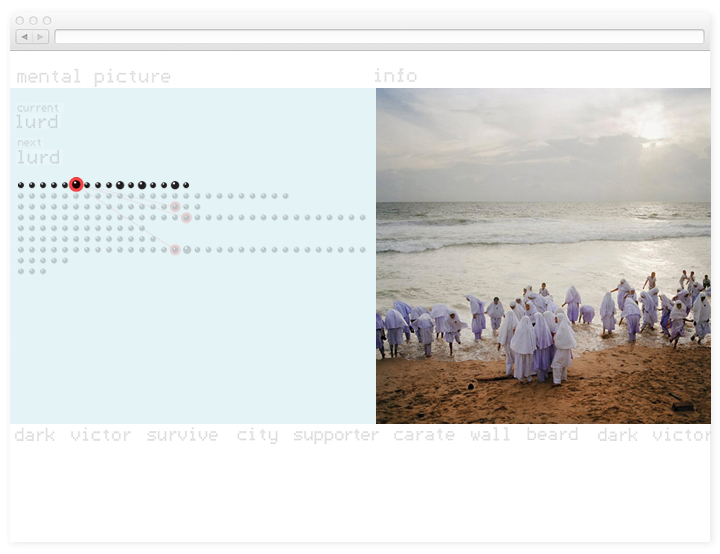 The website made it possible to discover all of the connections, follow a horizontal story or take a turn and follow an idea instead.